This main course was something I came up with since I had white fish and tomatoes. I wanted to make a nice healthy and hearty dish. oil or butter for pan. 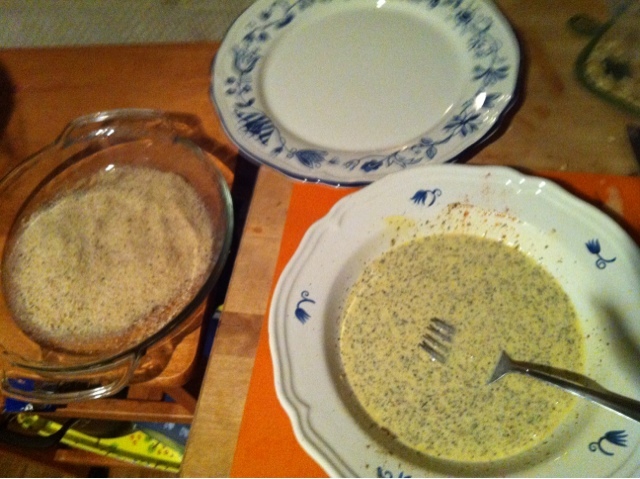 Mix the egg, milk and herbs in a bowl. Dip the fish into the batter and then into the bread crumbs. Flip them so they are well covered. 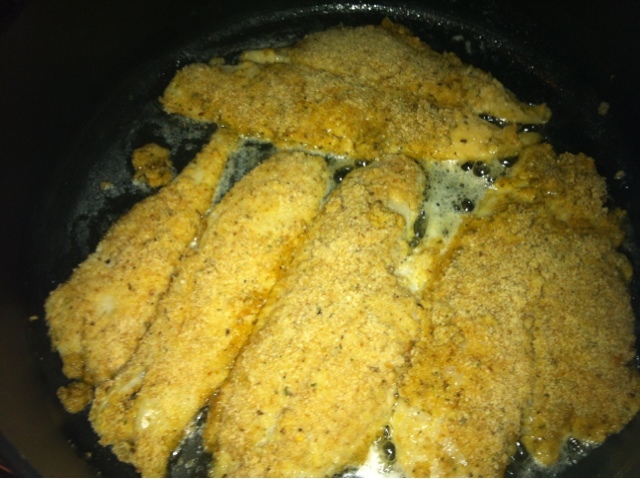 Heat up a pan with oil or butter, add breaded fish. Cook completely until one side is almost completely done, then flip. Remove when done and cover. Heat the olive oil/butter in a large skillet. Add the onion and garlic and saute over medium heat, 5 to 10 minutes. Add the tomatoes and let cook down a bit. Add in tomato puree and let simmer down. 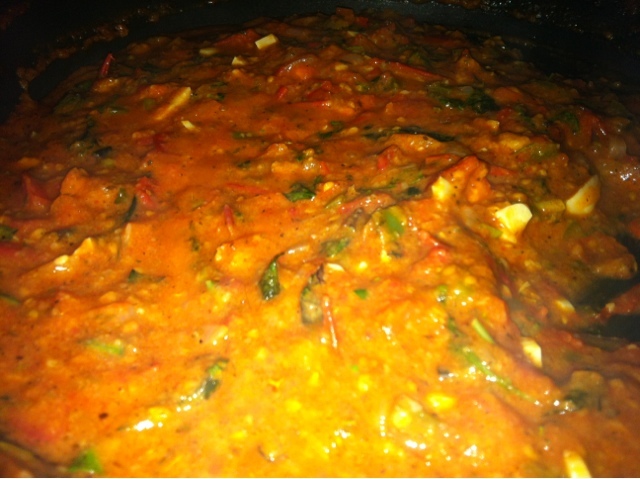 You can add in basil, wine or peppers if you like. 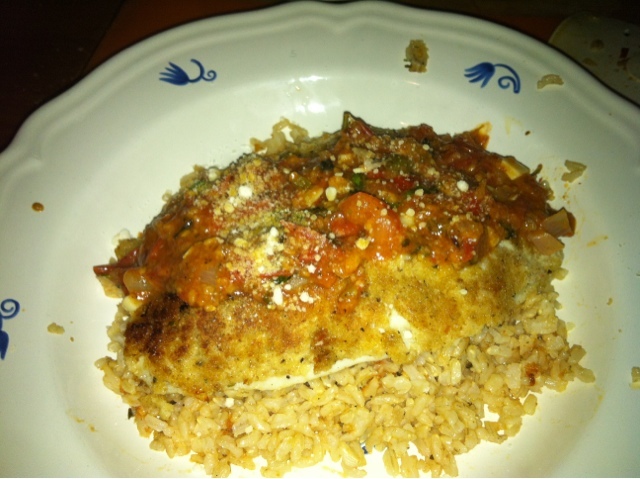 Add Brown Rice to plate, place fish on top of rice and then marinara on top of the fish. Sprinkle with Parmesan Cheese.